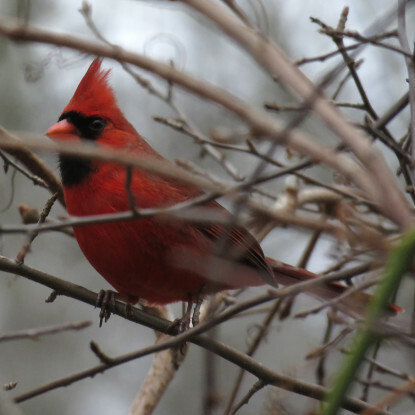 Each year, in lieu of hunting them for sport, thousands of Americans pursue birds with binoculars to identify and count them in support of the Christmas Bird Count or CBC, overseen by the National Audubon Society and now in its 116th year. A CBC count circle is 15 miles in diameter; the Plymouth circle, which I participated in, stretches from the tip of Long Beach south to the Cape Cod Canal and west to Carver. 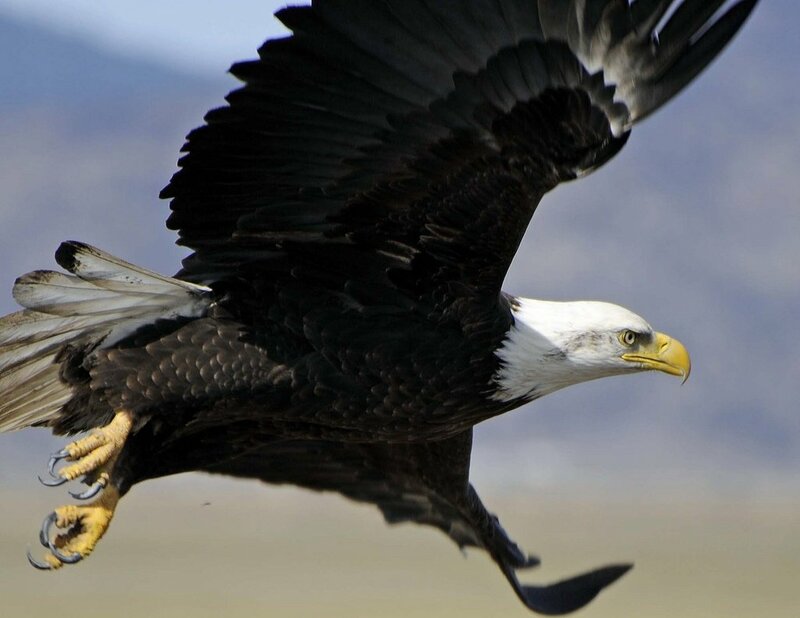 Data collected in the same area for many years reveals trends in bird movements and numbers, such as the shift north of many songbirds’ ranges shifting and the decrease in populations of numerous species. 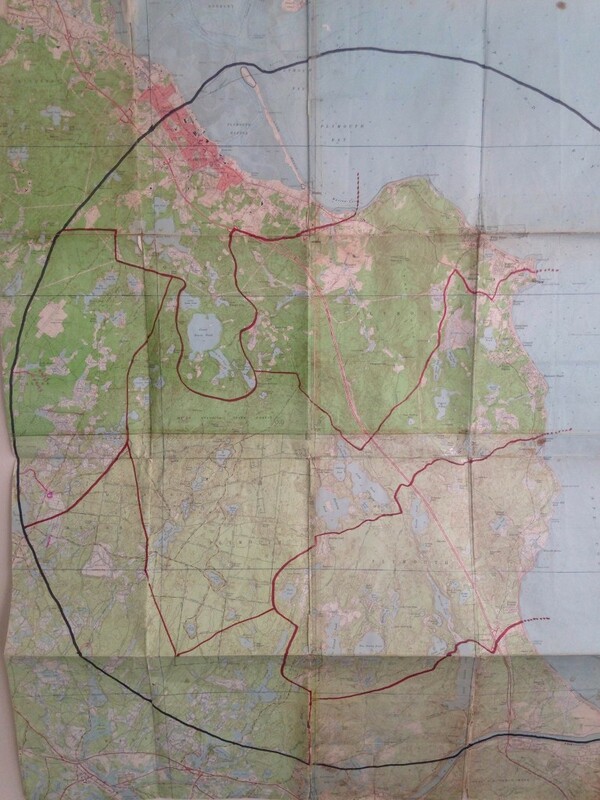 Vintage Plymouth CBC map with circle boundary in black and subarea boundaries in red. 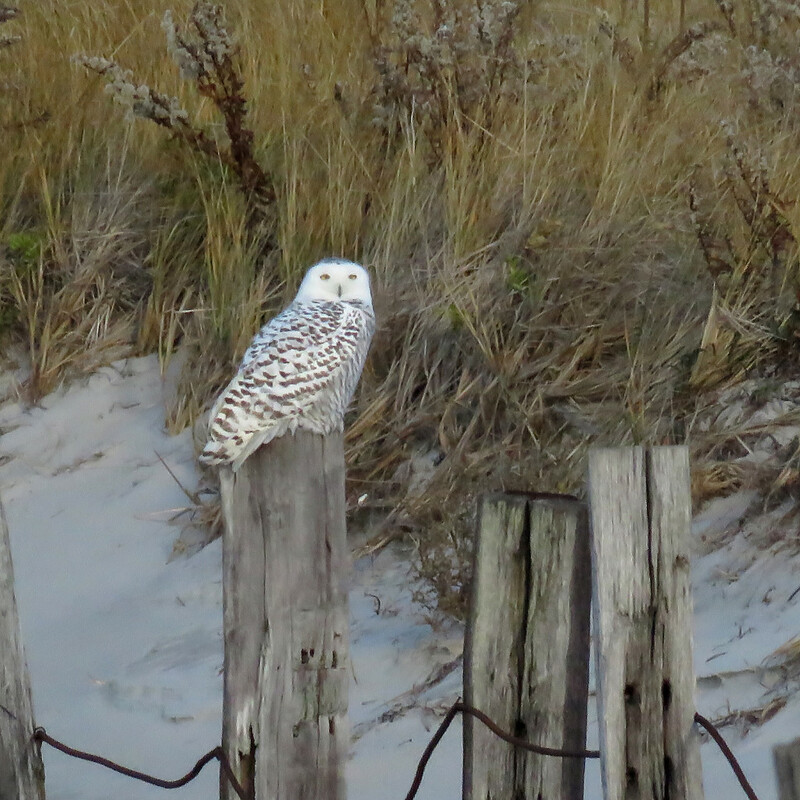 On December 16, I joined expert birders Wayne Petersen of Mass Audubon, Brad Winn of Manomet and Soheil Zendeh to bird in the northwest quadrant of the Plymouth count circle. We covered Long Beach, the waterfront, Jenney Pond, Billington Sea, Plimoth Plantation and the Eel River, Nook Road by the fish hatchery entrance, Little South Pond and areas in between. 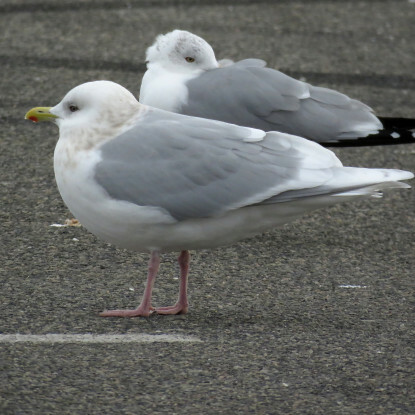 Another unusual bird was an adult Iceland Gull at the parking lot by the jetty. 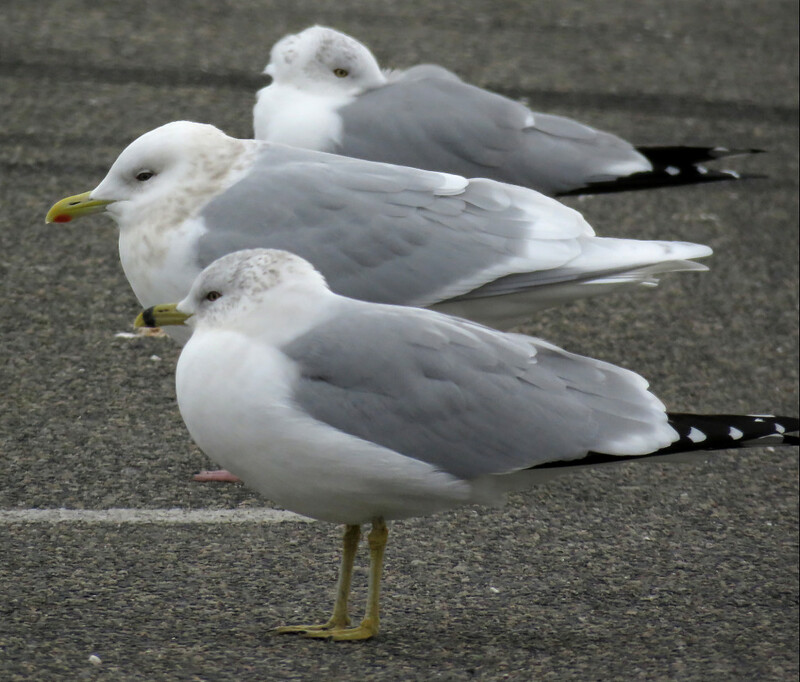 Although a rarity, it wasn’t exactly a surprise as we had heard through the birders’ grapevine that it was once again spending the winter behind the East Bay Grille. Other surprises were due to negative data, that is, not seeing particular birds, or not many. For instance, we saw no Brant or Horned Grebes, which are generally gimmes in our section. And, the number of Mourning Doves, chickadees, wrens and Northern Cardinals was much lower than in previous years. 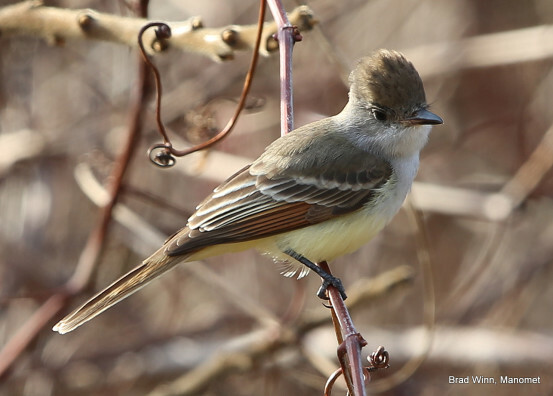 A surprising find in Massachusetts this year is the Ash-throated Flycatcher, which is a bird of the western U.S. Three have been spotted on the North Shore and one has taken up residence at Manomet and was counted for the CBC, but not by my group as counting outside our specified section would have been considered poaching. 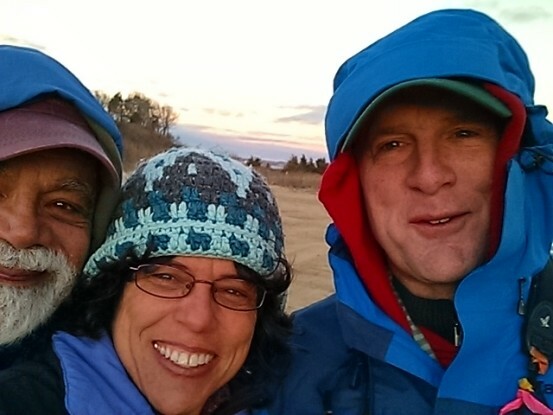 At the end of the day, we gathered with the other birders to compile all of our sightings. The tally of species for the day was 106, and our section found 55 different species. The full list for our section is below. Three of our happy crew!